A burglar took refuge in a home on Summer Street Tuesday morning, leading to school lock downs. 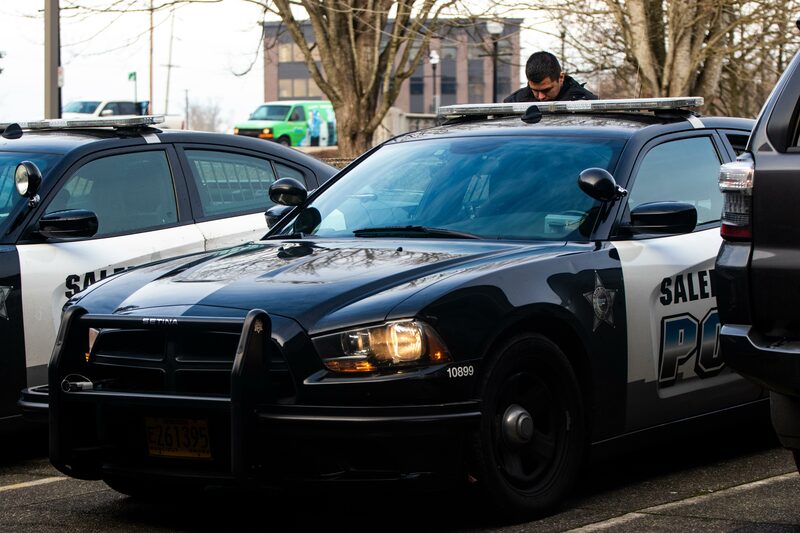 After a six-hour standoff, Salem police Tuesday removed a burglar who holed up inside a stranger's home on Northeast Summer Street earlier in the morning. The man is being treated for injuries, police said. No one else was hurt. The man broke into several homes in the neighborhood and at one on Northeast Capitol Street confronted a homeowner, saying he had a gun, police said. When officers arrived around 7:30 a.m., the burglar fled to a nearby home, going in the back. The woman living there got out the front, police said. Police hailed the burglar to surrender but he refused to do so. Instead, he set a fire inside the home that burned itself out. Police deployed a SWAT team to the home, in the 1000 block of Capitol Street, and released tear gas around noon, police spokesman Lt. Treven Upkes said. The standoff began around 7:30 a.m.
Several neighboring homes were, Upkes said. Police instructed other residents to stay inside, he said. Following the burglar's arrest, Salem Fire entered the home to put out a fire. Upkes said it was unclear if the man set a second fire or if the first flared up again. Police closed portions of Northeast Summer Street at Northeast Belmont Street and reduced Northeast Capitol Street at Northeast D Street to one lane, causing some traffic delays, Upkes said. The standoff led staff to briefly lock down North Salem High School and Parrish Middle School, which are about three blocks away. Those lock downs were lifted soon after, the district said on Twitter. This story was updated following the burglar's arrest.